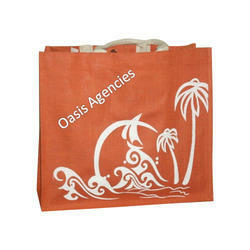 Leading Manufacturer of printed jute beach bag and cotton beach bag from Kolkata. Available in new fresh designs and color prints, the enchanting range of Printed Jute Beach Bag bear fancy construction and trendy finish which makes these preferred by one and all. Available at competitive market prices, these bags are made from eco-friendly jute fibers which make the product totally recyclable. Some of its features include trendy construction choices, fashionable designing which meets tastes of fashion conscious people, aesthetic design standards, captivating and highly decorative finish, use of eye pleasing color shades and others. 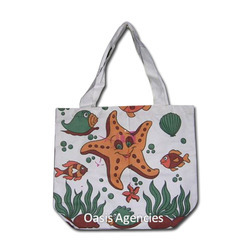 We are one of the leading manufacturer of Multi Colour Print Cotton Beach Bag. This Cotton Beach Bags Multi Color Print Bag offered by us is highly useful to carry small items to the beach. Being very light in weight, these bags are very convenient t carry loads without any problem. We offer these bags in different designs to gain optimum client satisfaction.